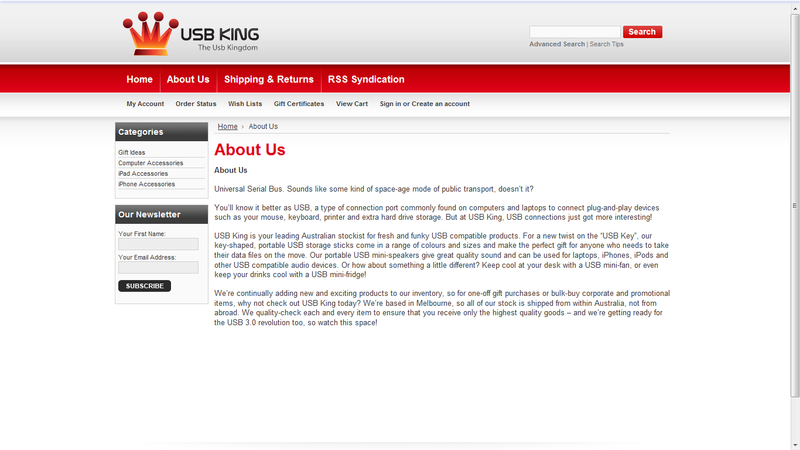 A little copywriting project here for USB King, an Australian purveyor of quirky USB enabled devices including key-shaped pen drives and USB electric blankets. They wanted an About Us page, so here it is! You can also find them on Facebook.